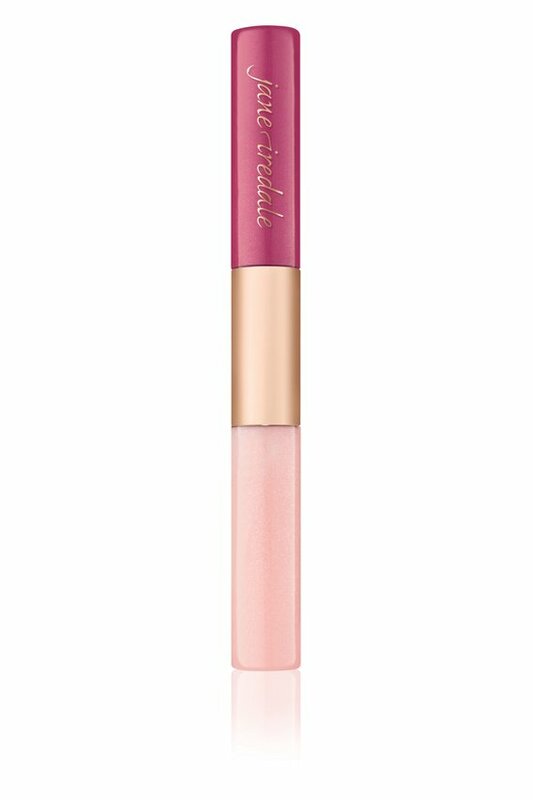 This two-sided lip duo from jane iredale does double-duty, combining the staying power of a stain with the hydration of a gloss. Brimming wtih good-for-you natural botanicals, the stain glides on silky smooth, providing buildable coverage without feathering or drying; designed to layer atop the stain or use on its own, the moisturizing gloss delivers subtle shimmer and long-lasting shine. 0.2 fl. oz. Lip stain: isododecane, acrylates/dimethicone copolymer, trimethylsiloxysilicate, propylene carbonate, tocopherol, vanilla tahitensis fruit extract. [+/- (may contain) mica, titanium dioxide (ci 77891), iron oxides (ci 77489, ci 77491, ci 77492, ci 77499), red 7 lake (ci 15850)(aka 202), red 30 lake (ci 73360), red 6 lake (ci 15850)(aka 201)] Gloss: persea gratissima (avocado) oil, cocoglycerides, zingiber officinale (ginger) root extract, simmondsia chinensis (jojoba) seed oil, cera alba (beeswax), copernicia cerifera cera, ascorbyl palmitate, tocopherol, vanilla tahitensis fruit extract. [+/- (may contain) mica, iron oxides (ci 77489, ci 77491, ci 77492, ci 77499), red 7 lake (ci 15850)(aka 202), red 30 lake (ci 73360)].